Gr. romáios, L. Rosmarinus officinalis, Eng. rosemary. The Greek name refers to the fragrant odor while in Latin it means “seaside dew.” It is a multi-branch bush that remains green year round. It grows best in dry sunny areas with calcareous soil, in holm-oak and ash groves and scrublands. It is found all over the Mediterranean as it grows on sea coasts. It’s Latin name “Rosmarimun” meaning the ‘dew of the sea.’ It is abundant in Spain and is planted in gardens. According to Laguna it was well known and was considered ordinary in many areas of France and Spain. It has a blue flower although somewhat discolored; but as it is known for its great excellence in the apothecary shops where it is generally referred to as “Anthos” which means flower. Rosemary is hot and dry in the second degree. Its smoke helps coughs and colds. Rosemary it protects the house from unhealthy air and plague. The flower smoked with the plant in the house calms the air and frightens away all poisonous animals. During times of plague it was burned in the street and in the houses. Rosemary also comforts the brain, the heart and the stomach; it provides understanding, restores the memory and awakens feelings; and generally it is a healthy remedy against all illnesses concerning cold in the head and the stomach. Herrera’s commented that rosemary has as many benefits as roses. Bees collect the nectar from the flowers and make a unique honey with it. A balm or oil is made with the flower that comforts the heart and strengthens limbs that are out of shape. If the flower is boiled in red wine takes on the smell and purity, which comforts the brain. It enlivens and makes all the senses content. It also increases the volume of urine. If the flower is boiled in rain water and this is put into wine, it cures those suffering from consumption, for he who drink it for it heals the numerous sores in the lungs and stops one from vomiting blood. It had so many virtues and good properties that they could fill a book; carrying the plant makes one happy; and it is commonly said that its enemies flee from it. Rosemary is a stimulant, diuretic and antispasmodic. 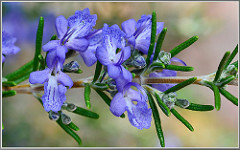 Rosemary oil is used in medicine and perfumery. As it became the symbol of fidelity, brides wore wreaths of rosemary with multi-colored silk ribbons. Peel almonds. Rub them vigorously with a rough hemp cloth. Put them mortar an grind them. 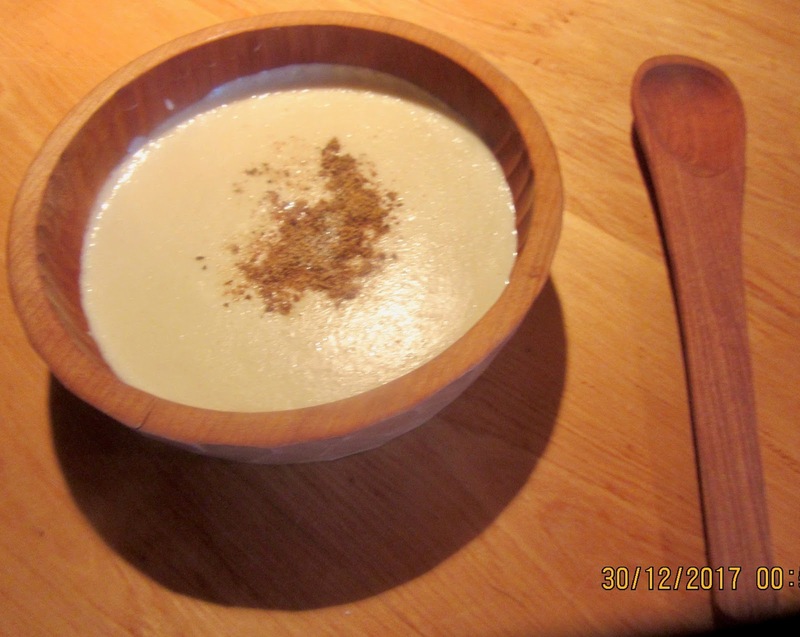 Add a slice of bread soaked in white vinegar or better yet with rose water; then blend this with meat broth and strain. Taste for flavor. Roses should be predominant. If not, add dried and ground roses little by little until the flavor is satisfactory. Then heat the mixture until it thickens. Remove from heat ad let sit. Pérez explains that rose water was used frequently as a seasoning in Andalusian and African cuisine. The Royal Spanish Academy of Language only recognizes that it was used in medical applications and in perfume products. According to ancient texts, it was thought very good when used as incense during epidemics as it cleaned the air and purified and eliminated all unpleasant smells and vapors. The leaves and flowers drunk with white wine and white pepper heals jaundice and yellow skin and it cleans the liver. When boiled, it comforts and heals the nerves. To make rose water, put pedals into a pot with water. Bring to a boil. Reduce and gently boil covered for five minutes. Remove from heat and let sit until cool. The water will turn dark brown.